Posted on October 17, 2010 by Brendan Jones Posted in teacherstuff	. At the recent NSW PDHPE Teacher’s Association conference, apart from an inspiring keynote from Ben Jones (@benpaddlejones on Twitter) on 21st Century opportunities in PE, amongst other brain snapping concepts, the rest of the workshops dealt with technology solutions I was pretty much familiar with. Still, it was good to have my knowledge and understanding in these areas expanded. Ben and I also ran a little “unmeeting”, promoting Twitter as a powerful PLN option, and I think the message was heard. This was the second exciting moment for me at the conference. What I also saw at the conference was the look in many people’s eyes, and I heard the comments that they made when the were introduced to new technology approaches. They were saying “this is big, very big..I want to get into it…but where do I start? The information overload issue is a big one. Spread yourself too thin, try to do too many things, and you don’t do anything REALLY well. The danger of burn out becomes a real possibility. I’ve been guilty of that in the past, and don’t want to feel that sense of drowning again. Just like in sport training, I’m beginning to think specificity in using technology is a crucial component of successful technology integration. So after a productive NSW PDHPE Teacher’s Association conference , I’ve decided on some specific goals as far as technology in my teaching goes. 1. Know Moodle much better. My school has committed to Moodle, so to make work like it should, I have to be as one with it. 2. Blogging – I’m going to use the BlogEd tool given to me by the DET and focus on building reflective writing skills in my students. 3. Mobile devices – using both Moodle and blogging, I’m aiming to weave mobile LEARNING devices through what I do. Up to now, I’ve postulated about what might be done with ubiquitous mobile technology, and collected lots of ideas. Now is the time to act. Specificity – specific actions designed to produced specific results. Time to aim up for gold. Tags: blogging, mobiles, Moodle, Specificity	. Posted on October 9, 2010 by Brendan Jones Posted in teacherstuff	. Never discount anything as useful in your PE classroom, as I re-discovered today. My son was riding up and down the street on his bike. “How fast do you reckon I’m going, Dad?” he asked. I toyed with the idea of strapping my bike speedo on his bike or getting him to look at a GPS receiver while he was riding. Both had time and safety contraints that made me look elsewhere. 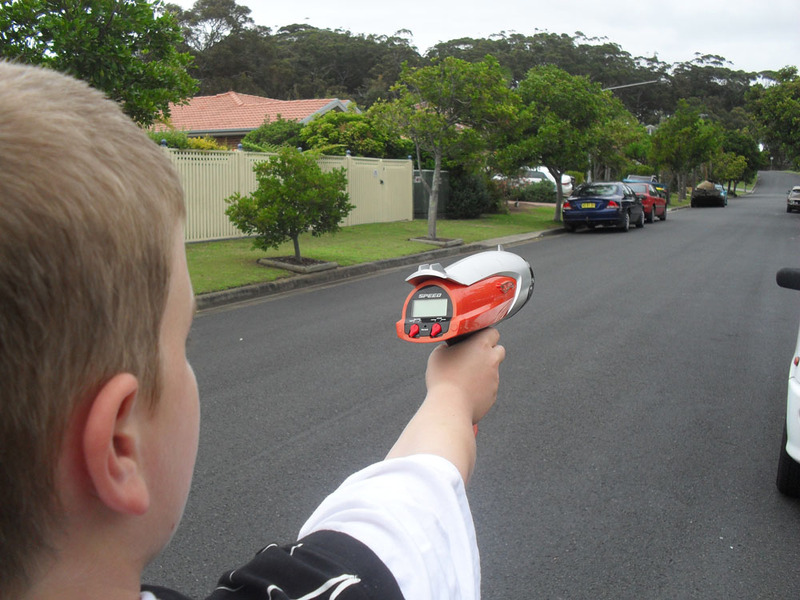 So I turned to my Hotwheels radar gun. 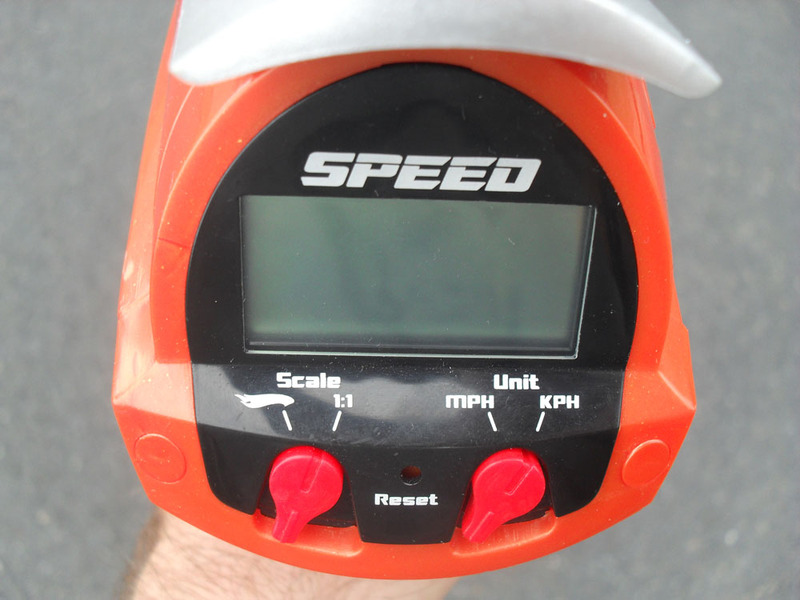 It has variable settings – 1:1 Scale (real world speed) or Hotwheels speed (my son travelled at 28km/h, 1793km/h Hotwheels speed! ); MPH or KPH. 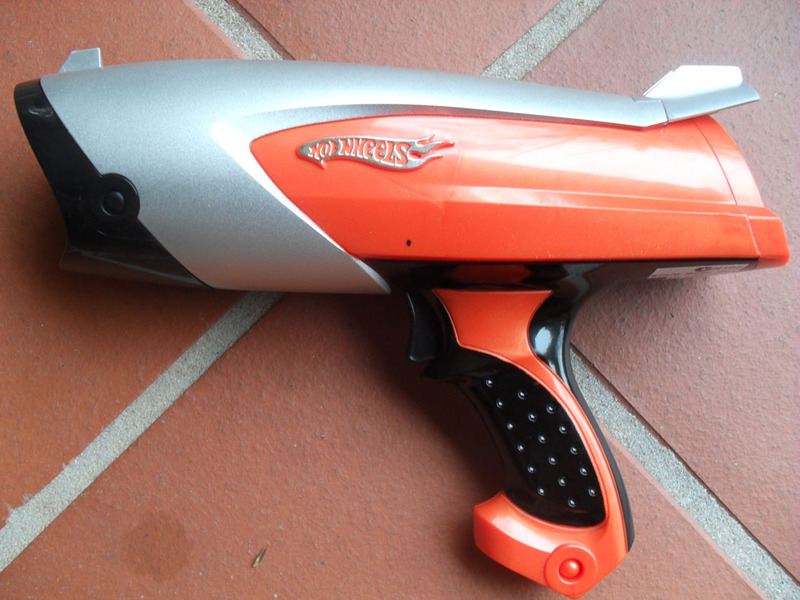 Pull the trigger whilst aiming at the target gives you the speed readout. Pull the trigger to reset. As an experiment, time some runners with watches, then use maths to work out their velocity, and then compare that to the gun reading. I thought of these already. Surely there are more applications for a useful little “toy”that costs $A20? Tags: Hotwheels, measurement, PE, tech	. Posted on October 8, 2010 by Brendan Jones Posted in teacherstuff	. I had a post planned on EdTech in schools being like rock band allegiances. I’ll save that one for later. What has really grabbed my attention lately has been the Commonwealth Games in India. Not just the competition and the spectacle, but what I think are implications for PE in schools. Two events caught my eye in particular. 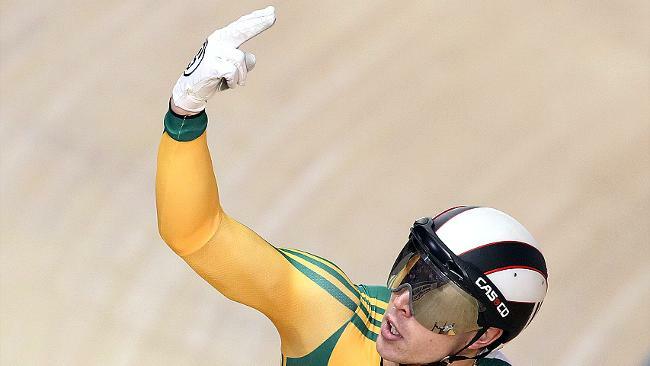 Cyclist Shane Perkins and wrestler Hassene Fkiri being disciplined for unsportsmanlike and “unAustralian” behaviour, and sprinter Sally Pearson’s disqualification from the gold medal in the 100m. Perkins and Fkiri were in trouble for making “two fingered” gestures (as well as in Fkiri’s case, refusing to shake hands). The reaction of the media was intriguing – the athletes were declared “unAustralian” and sanctions were called for (the first time I’d ever heard of such a thing). For Fkiri, his offense occurred at the conclusion of his bout and sanctions seemed straightforward – official rebuke and medal stripped. After the initial media “scandal” reaction, the outcome seemed acceptable for most. But for Perkins, it got complicated. He was a hot chance for further gold. So officially and journalistically, he was initially put on a stay of execution, because it would be “harsh to upset all his work and training” by suspending him. Perkins eventually withdrew from his events, saving the Australian team chiefs from a potentially explosive sacking. Nevertheless, the Australian officials were reluctant to act. Impression #1 – it can be argued that winning is more important than being “Australian”. 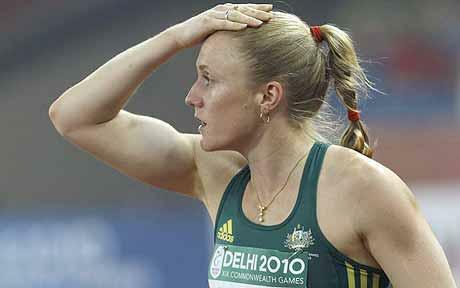 The second event was the disqualification of Sally Pearson in the 100m after an appeal by a rival country. Putting aside the merits of the case for appeal and disqualification, what I found most interesting was the comments made by the Australian Head Coach when asked about the incident. Most notably, when asked whether the appeal was against the “spirit of the games”, Hollingsworth replied “We’re no longer in the Corinthian era, this is high performance sport”. Listen to him below. Impression #2 – Sport is no longer about fair play, personal best and “the Corinthian era”. It’s just about winning. How does this affect schools? Considering that much of the talk about PE in schools is centred on the “character building”, “life skills” that sport and PE offer and transmit to students, I think it is wise to pause a moment and consider what character building information these two circumstances provide. In Australia, much of this drama has been unfolding on prime time TV, with media analysis flowing thick and fast. Children watching this will undoubtedly form opinions, and unless it is balanced with a critical eye on why it is happening, much of this will probably form a new sporting paradigm for them. This surfaces at the school level not just on the sporting field, but across a range of experiences, because the “character building” lessons learned on the sporting field are invariably played out in classrooms, playgrounds and other social settings. And just to add to my concerns, I came across this thread in a discussion on GATS (Gifted and Talented Students) in PE. At least one critical eye raised the question of elitism. Perhaps this is the 21st Century way of looking at sport? Tags: 21st Century, PE, Sport	.